Posing as an unassuming toy department clerk, she sets out to ensure that this Christmas is memorable and meaningful for all at a struggling family-owned department store in New York City. With broken dreams to mend and promises to keep, Mrs. Miracle has her work cut out for her, but she won’t give up until she delivers a merry, meaningful Christmas for all! I really have enjoyed this movie. I did notice however that there are two different accounts of this movie. As a Minister, I was interested in the version that mentions reading the Nativity story instead of “The night before Christmas”. Can anyone help me? Thanks!!! Hi Ed, you are correct! The DVD plays the version where the Nativity story is read instead of The Night Before Christmas. The DVD also mentions Christ a few other times. The TV version omits all of this. You will want to buy the DVD as they do not air this version. I enjoy the Mrs. 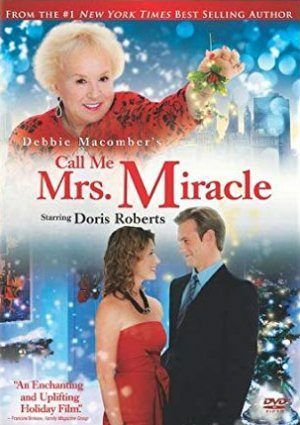 Miracle movies and was very disappointed they were not shown but a very few times last Christmas season. I agree with Mary, please show them this season. Please play the “Mrs. Miracle” and “Call Me Mrs. Miracle” movies in December. Would also like to see the movie “Sons of Mistletoe” , and Miracle on 34th Street.